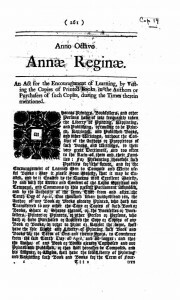 When it came into force in 1710, the Statute of Anne granted a copyright term of 14 years to the author of any new literary works, and provided that “after the Expiration of the said Term of Fourteen Years, the sole Right of Printing or Disposing of Copies shall return to the Authors thereof, if they are then Living, for another Term of Fourteen Years.”2 Publishers – those who had owned the erstwhile ‘copy’ in books which were already in print at the time the statute came into force – were granted a twenty-one year copyright period beginning on April 10th, 1710. On a clear reading, this must be taken to indicate that the grant of copyright to authors is not a manifestation or a recognition of any natural right of those authors, but rather is a means by which the aim of “the encouragement of learning” is to be accomplished. The title also clearly indicates that the grant of copyright is to be limited in duration. This temporal limitation would itself seem to be anathema to the conception that copyright is a natural property right. Further indication that the Act must be read as a grant of a positive statutory right which does not naturally exist in the common law can be found within the Act itself. The Act allows any person to make a complaint to any one of a number of state representatives to the effect that the price set by a publisher, printer or bookseller for any book is unreasonably high. The representative may then call that publisher, printer or bookseller before them to “to Examine and Enquire of the reason of the Dearness and Inhauncement of the Price or Value of such Book or Books by him.” If the state’s representative is not satisfied by the testimony of the publisher, printer, or bookseller, a price can be imposed which the crown views as reasonable. This must be seen as concrete recognition of the value to society of the “encouragement of learning” and the importance of the contribution of literary works to the knowledge commons. It is that principle which lies at the heart of the Act, rather than the upholding of a right derived from authorship. 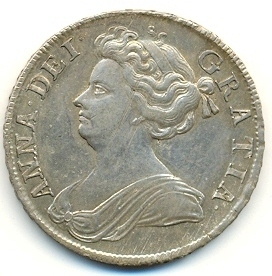 When we take into account the wording of them long title and the preamble, and consider the effect of the fourteen year limitation period, the grant of Copyright under the Statute of Anne must be seen as a pragmatic means by which two goals are accomplished: 1) the relief of harm to rightful owners of copy occasioned by unlicensed publication; and 2) the development of a healthy public domain. Furthermore, the first of these ‘goals’ can itself be seen to be a means to achieve the second. By creating a statutory right which allows authors to be compensated for their literary work, those authors will be economically stimulated to create more such work, thereby adding to the current body of communal knowledge, and eventually (upon expiry of the term of copyright) contributing that work to the public domain. 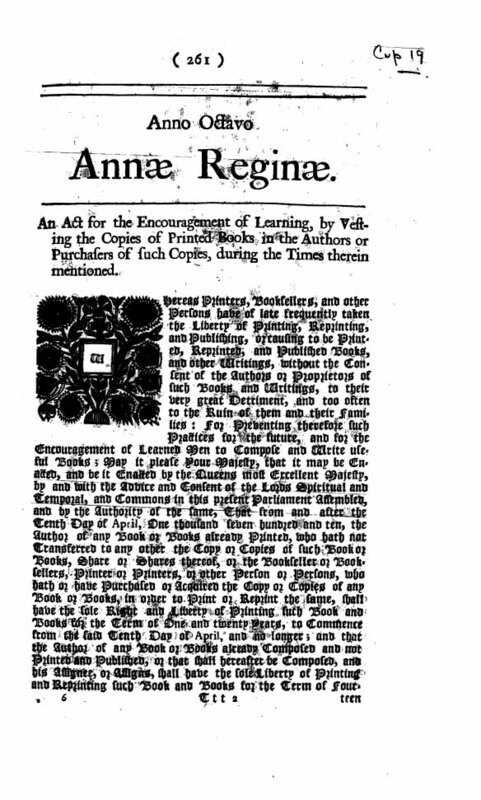 The fact that the Statute of Anne does not grant a perpetual monopoly is indicative of the fact that printing monopolies were seen to be operating to the detriment of the knowledge-commons.